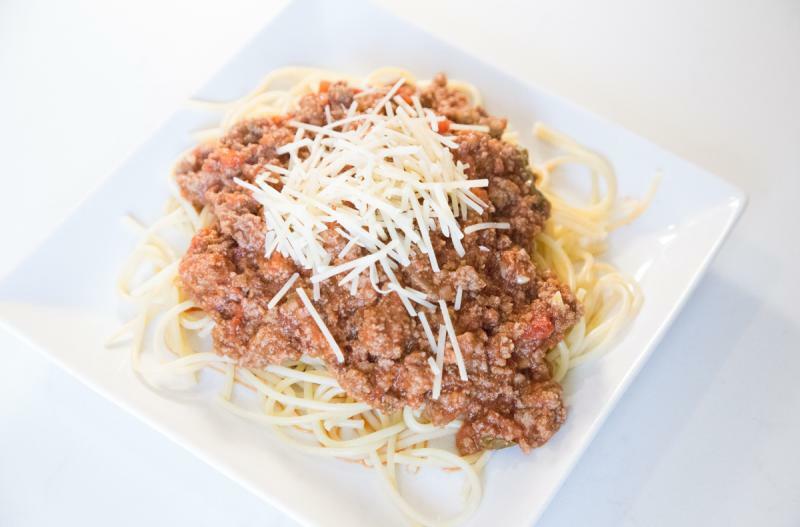 Delicious spaghetti sauce made quickly in the Instant Pot, but tastes like it\\\'s been simmering all day on the stove! In a large skillet, brown the ground beef with the chopped onion. Drain and add the browned ground beef to the pressure cooker insert. Stir in the spaghetti sauce, grated carrots and grated zucchini and hot water into the electric pressure cooker insert. Serve Instant Pot Classic Spaghetti Sauce with pasta and veggies. Brown and drain 2 lbs. ground beef. Chop 1 small white onion. Put baggie in the freezer and freeze up to 6 months in fridge freezer or 12 months in a deep freezer. Thaw in the fridge overnight, or a warm bowl of water for about 20 minutes, before transferring to pressure cooker insert with hot water. Use gluten-free noodles. Sauce is gluten-free. Thaw, add hot water to Instant Pot and then add contents of baggie. Cook on high pressure for 15 minutes with sealed valve; then natural release. Toss with cooked pasta noodles.